No matter how often they go out in the mountains, people never quite get it right about poo. The snow leopard (Panthera uncia), close cousin of the tiger, needs to be investigated, but carnivore faeces looks like carnivore faeces and the hair there is hard to ID. too. Now Genomics has replaced the traditional techniques with swift accurate checking on prey organisms and whether the snow leopard is responsible or not! The prey items expected in these mountains would normally be Siberian ibex and the highly endangered argali sheep. One of the key problems is the extent of domestic animal predation. Many of the snow leopards killed are being removed because of a supposed threat to people's livestock. They are thought to have caused 14% of livestock holders to hunt snow leopards in retribution for a supposed loss. Even reports have stated that 38% of losses were due to snow leopard predation, while in India, ideas of loss rose as high as 58% at times. Real evidence on this is lacking, but there is always a great hunter around willing to build his reputation by bringing back a spectacular culprit. 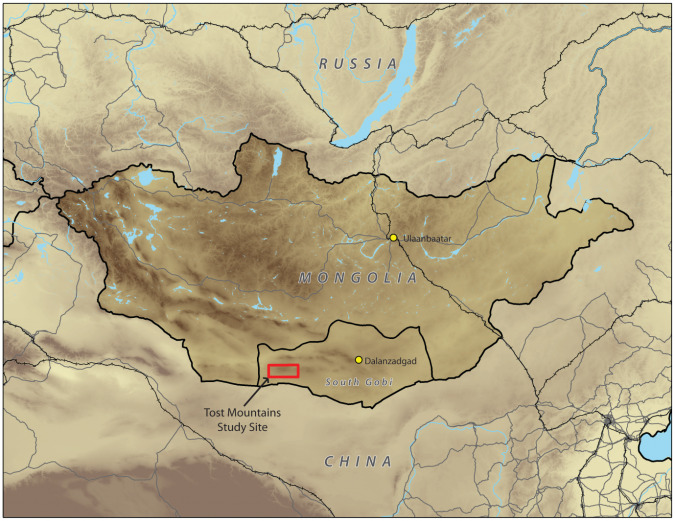 Collar fitment has geo-located kills and prey over the last three years very successfully over a small area of Mongolia, but additional prey items need to be identified in order to solve the problem of whether livestock is killed or not. Bones teeth and hair of prey can't often be large enough or distinct within the faeces, while the time-honoured methods are far too labour-intensive and even subjective at times. Many carnivores produce similar droppings and even dogs are being used in the US to confirm snow leopard faeces as the genuine article. With the latest DNA universal approach to diet analysis, all of the problems seem relieved. Siberian ibex comprised 70.4%; domestic goat was at 17-3%, and argali sheep(wild) were at 8.6%. Ungulates made up 98.8% of the diet, but, of this, only 19.7% were domestic. A bird was one unique dish. A chukar partridge formed 1.2% of the diet, as it formed a gourmet meal for one Panthera. 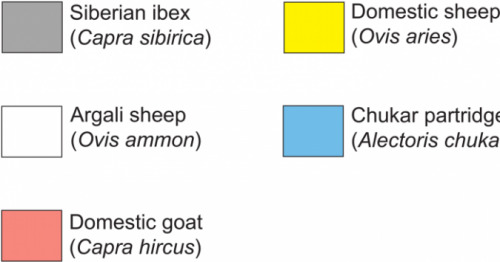 Where ibex are rare, then, we can expect a variance, but this study shows conclusively that others are incorrect in assuming livestock is a prominent dietary item, but correct in assessing the prey type. Medium and small mammals are absent from this research although bird species are recorded, as in all studies. It's fascinating that each sample only contained one prey species, supporting previous ideas that the animal focuses on a single prey at a time. 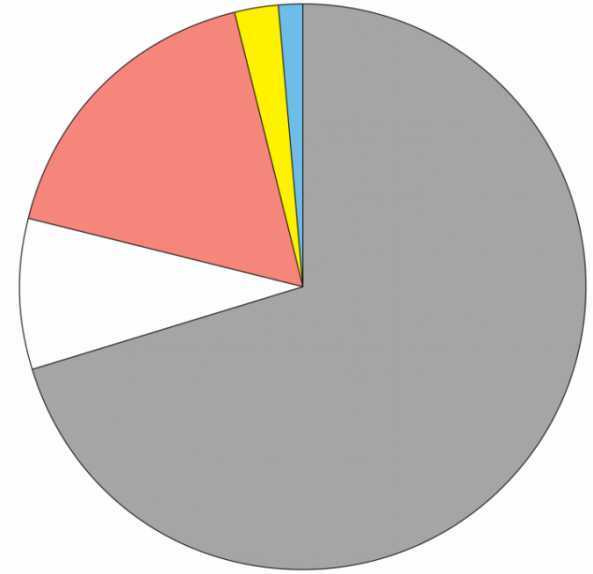 At 45kg, the daily biomass required would be around 2kg. Large prey above this mass is therefore necessary for the snow leopard's survival in its incredibly inaccessible and precipitous habitats. Like you own moggy, snow leopards have been recorded eating plant material. Mineral or vitamin gain has been suggested for this habit. However, the overwhelming success of this original study is the preciseness. No vertebrate escaped the study itself, although many were not eaten by the Panthera. Solutions to the conservation of these wild predators are never easy. The argali sheep might have an unheralded future as a species to encourage as snow leopard prey. If it weren't hunted, then the carnivores don't need to attack similar domestic sheep. As we now know accurate figures on diet, the snow leopard can be more carefully managed - "At a distance," is a prerequisite because of that remarkable adaptive yet possibly dangerous, cryptic habit.